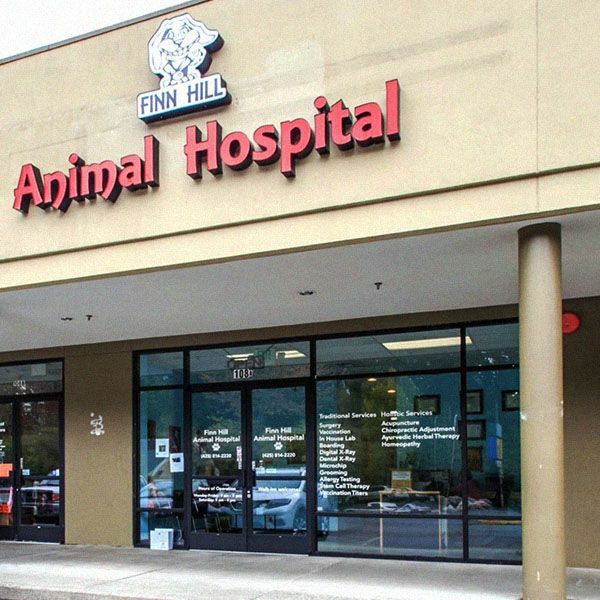 Finn Hill Animal Hospital offers complete veterinary care to small companion animals, birds, and exotic pets in Kirkland, WA and throughout the King County area. As a full-service animal clinic, we are dedicated to providing the best that modern veterinary medicine has to offer by a skilled and courteous staff at an affordable cost. We offer both traditional and holistic veterinary care including acupuncture, chiropractic, Ayurvedic herbal therapy, homeopathy, and diet consultations. Our facility has a state-of-the-art surgical suite, updated treatment areas, a comprehensive laboratory, and an in-house veterinary pharmacy. Our doctors and staff believe that our medical expertise and love for animals is maximized when we share it with you. Client education is an important aspect of the work that we do, and it is part of our mission to improve the human/animal bond and promote responsible pet ownership. When you come for a visit with your pet, we listen to your concerns and make sure we treat your whole pet, not just the symptoms. Our goal is to make sure that each pet receives quality care with a personal loving touch. Dr. Raja Velu founded Finn Hill Animal Hospital in 2013 to provide quality care at an affordable cost to the Kirkland pet owning community. His approach to veterinary medicine is strongly influenced by his belief in integrating traditional and holistic medicine to better serve the patients. Dr. Velu graduated from Tamilnadu Veterinary and Animal Science University in India, completing the Educational Commission for Foreign Veterinary Graduates certification program to receive his DVM in the US. He also trained in veterinary acupuncture at Colorado State University. Dr. Velu's professional interests include surgery, client communication, and multimodal approaches to treating disease. 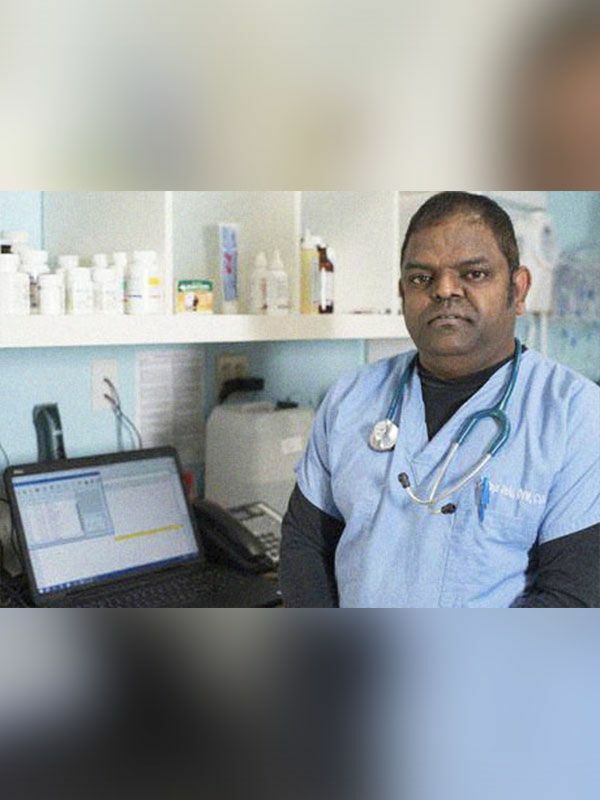 Before relocating to the US, Dr. Velu practiced equine medicine and worked treating racing horses. Outside work, Dr. Velu spends time with his family and exercising. He has a Maltese named Bingo. Along with Finn Hill Animal Hospital, he also devotes time to his animal hospital in Kent. The team here at Finn Hill Animal Hospital offers wellness exams, emergency services, senior pet care, spay and neuter procedures, surgery, orthopedics, dentistry, in house diagnostics, laser therapy, holistic services, stem cell therapy, microchipping, vaccinations, pet boarding, grooming and nutritional counseling for pets and owners in the Kirkland, Mill Creek, Woodinville, Bothell, Kenmore, Kingsgate, Mountlake Terrace, Totem Lake, Redmond, Lake Forest Park and the surrounding communities.